How will the new locations differ from other Chick-fil-A restaurants? 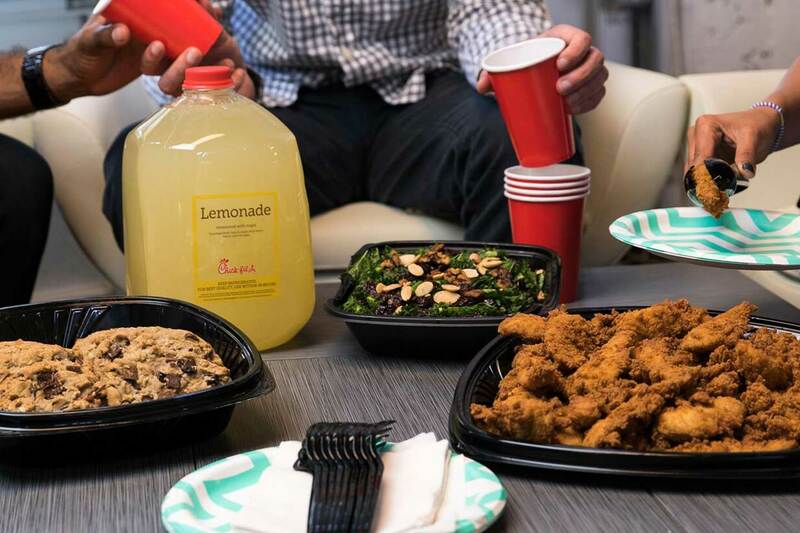 Guests in both cities will still be able to order catering at any of the local Chick-fil-A restaurants, but the new locations will serve as hubs for catering and delivery. One of the aspects that makes Nashville’s new restaurant unique is the lack of a dining room or drive-thru. Roughly 4,200 square-feet of the restaurant’s 5,800 square-feet will be dedicated to kitchen space. That’s more than two times the size of a normal Chick-fil-A kitchen. As with any space in a city, it’s always about location, location, location. To better serve Nashville’s wide variety of customers, Church Street was chosen as the location because it’s at the center of one of the fastest growing cities in the country. The new location has easy access to highways for deliveries to multiple destinations including downtown Nashville, local hospitals such as Nashville General and Saint Thomas and college campuses like Vanderbilt University and Belmont University. Nashville restaurant franchise Operator, Will Sims, says the location will make it even easier for customers in Nashville to get their favorite Chick-fil-A meal when they want it, where they want it. Customers can order a single order (like the favorite Original Chicken Sandwich (and Waffle Fries) by either walking up to the front counter inside the restaurant, or through DoorDash delivery. They can also order catering to be delivered or picked up at the restaurant. There’s just one catch: no cash. The new location will only accept credit/debit, making the Chick-fil-A Mobile App the easiest way to order. Not everything will be different. The location will serve the full Chick-fil-A menu. Along with the new location in Nashville, a similar format will be built in Louisville. The new Chick-fil-A Louisville Catering and Delivery location will have no dining room or walk-up ordering but will focus solely on preparing catering and delivery orders for Chick-fil-A restaurants in the city’s East End. The new location, which will open mid-October, will be roughly the same size as a free-standing Chick-fil-A, or about 4,800 square feet.